Can You Read the Handwriting? 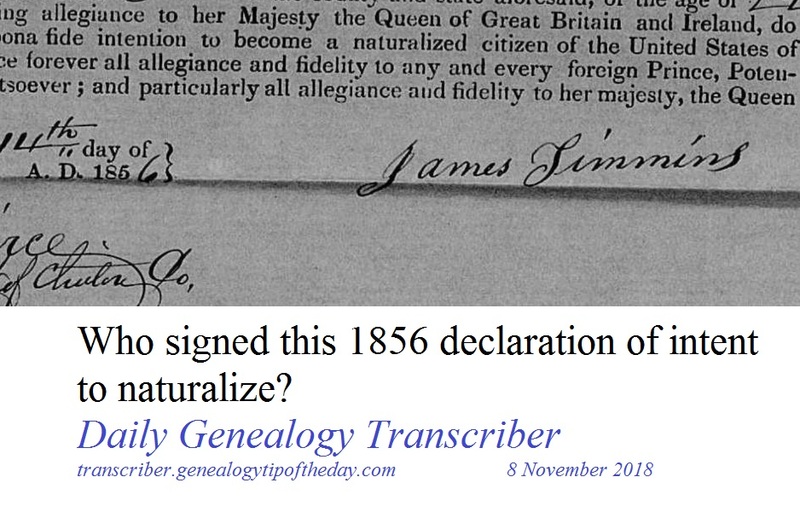 This person declared their intent to naturalize in Clinton County, New York, in 1856. What’s his name? Get Transcriber in Your Email! Casefile Clues--information on my genealogy how-to newsletter which focuses on analysis, interpretation, and methodology through case studies and document analysis.